Two unigene datasets of Pinus taeda and Pinus pinaster were screened to detect di-, tri- and tetranucleotide repeated motifs using the SSRIT script. A total of 419 simple sequence repeats (SSRs) were identified, from which only 12.8% overlapped between the two sets. The position of the SSRs within their coding sequences were predicted using FrameD. Trinucleotides appeared to be the most abundant repeated motif (63 and 51% in P. taeda and P. pinaster, respectively) and tended to be found within translated regions (76% in both species), whereas dinucleotide repeats were preferentially found within the 5′- and 3′-untranslated regions (75 and 65%, respectively). Fifty-three primer pairs amplifying a single PCR fragment in the source species (mainly P. taeda), were tested for amplification in six other pine species. The amplification rate with other pine species was high and corresponded with the phylogenetic distance between species, varying from 64.6% in P. canariensis to 94.2% in P. radiata. Genomic SSRs were found to be less transferable; 58 of the 107 primer pairs (i.e., 54%) derived from P. radiata amplified a single fragment in P. pinaster. Nine cDNA-SSRs were located to their chromosomes in two P. pinaster linkage maps. The level of polymorphism of these cDNA-SSRs was compared to that of previously and newly developed genomic-SSRs. Overall, genomic SSRs tend to perform better in terms of heterozygosity and number of alleles. This study suggests that useful SSR markers can be developed from pine ESTs. D.C. was funded by the French Ministry of Research. 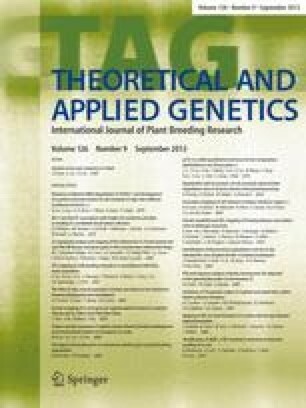 This research was supported by grants from France (Ministère de l’Agriculture et de la Pêche-DERF No. 61.45.80.15/02) and the European Union (TREESNIPS project: QLK3-CT-2002-01973). The maritime pine ESTs were produced with the support of the Aquitaine Région (n°2002 0307002A) and INRA (Lignome) as well as the European Union (GEMINI: QLK5-CT-1999-00942). The work at New Zealand Forest Research was funded by New Zealand’s Foundation for Research, Science and Technology (CO4X005).